This week in a look ahead to the coming St Patrick's day festival I wanted to share this piece which celebrates the hard work and personal integrity of one of our own. I've spoken about emigration to America before from the village. Todays piece featuring Bill Lannen Doherty and his wife Teresa gives an insight into the benefits of emigration. 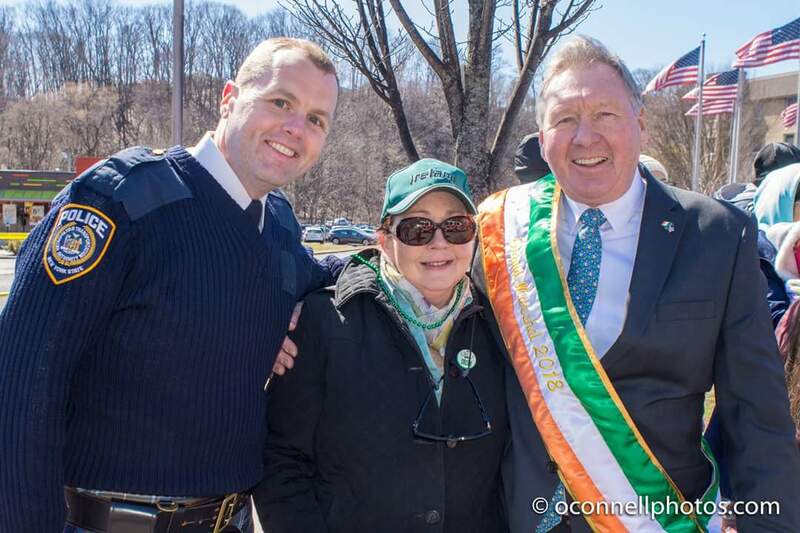 This this year Bill will be honoured in his local St Patrick's Day Parade (Glen Cove) where he helped found the first parade 30 years ago and this year he has been chosen as Grand Marshal. William (Bill) Doherty was born May 1, 1950 in the Russianside, Cheekpoint, Co. Waterford to Andrew, fisherman/seaman and Nancy Doherty. 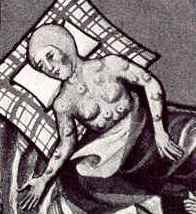 He was raised in a small cottage with his 4 older sisters Elizabeth, Agnes, Brigid, and Ann. 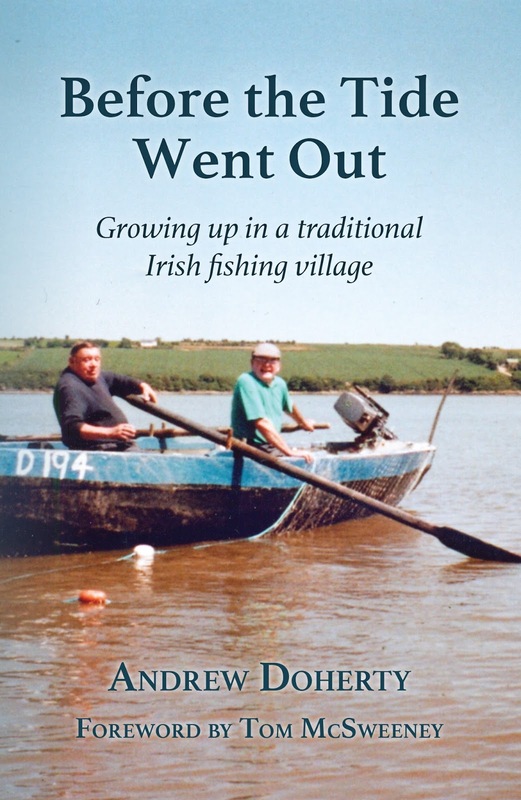 As a youngster he did what all the young men did, worked the local rivers fishing in the salmon and herring boats that plied their fishing trade in all the small fishing villages on the estuary. 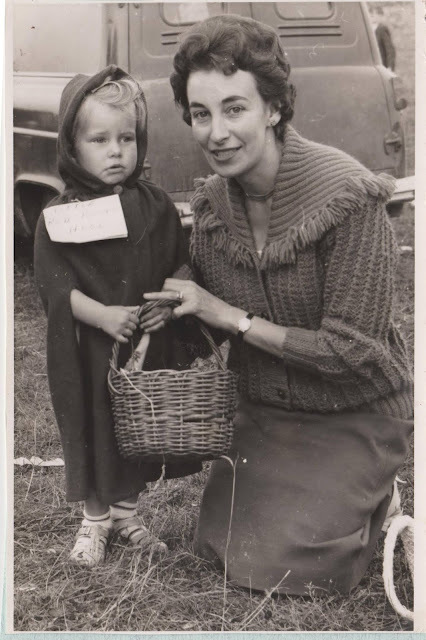 Bill at the tender age of 17 met his future wife, Teresa while working the ferryboat at Little Island, Waterford. After years of courting, when it wasn’t unusual for Bill to walk 5 miles to meet Teresa at the neighboring village of Ballygunner. 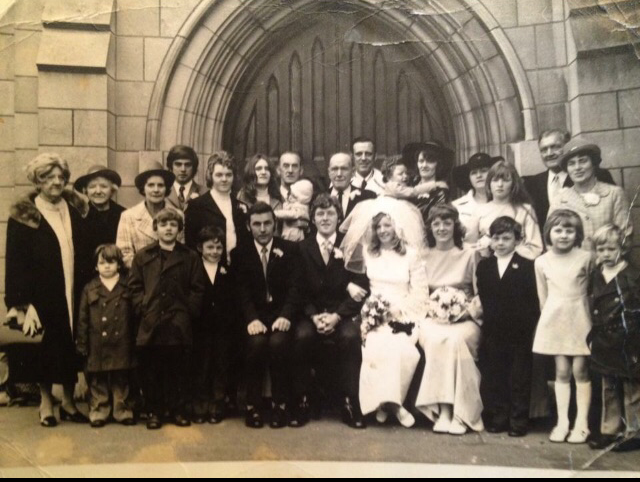 They were married on March 18, 1972 at St John’s Church, Parnell Street, Waterford City. After working the summer of 1972 in Dingle Co. Kerry, Bill and his new bride made the life altering decision in October 1972 to emigrate at 22 years of age to Long Island, New York. Bill and Teresa was sponsored by his sister Brigid and lived initially in Lindenhurst with the Winters Family, before moving to Saint James, where his son Ryan was born in 1974 then settling in Glen Cove in 1977 to be closer to his employment at Ever-Ready Sanitation located near City Stadium. 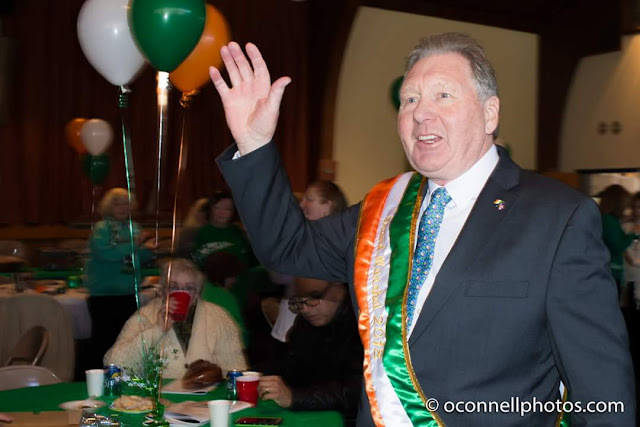 It was around that time Bill became a Parishioner of St Patrick’s, Glen Cove and met other Ancient Order of Hibernian members such as Mike Moran and was initiated into Division 8. Soon after, in 1979, his daughter Tara Ann was born and he was employed by Daniello and Son in Locust Valley and lived in Stephen Oval, Glen Mills Apartments in Glen Cove. In 1983, Andrew John was born and for the next decade he raised his growing family in Glen Cove, often sending the kids to Ireland for the summers so that he could work hard, sometimes 3 jobs 7 days a week. 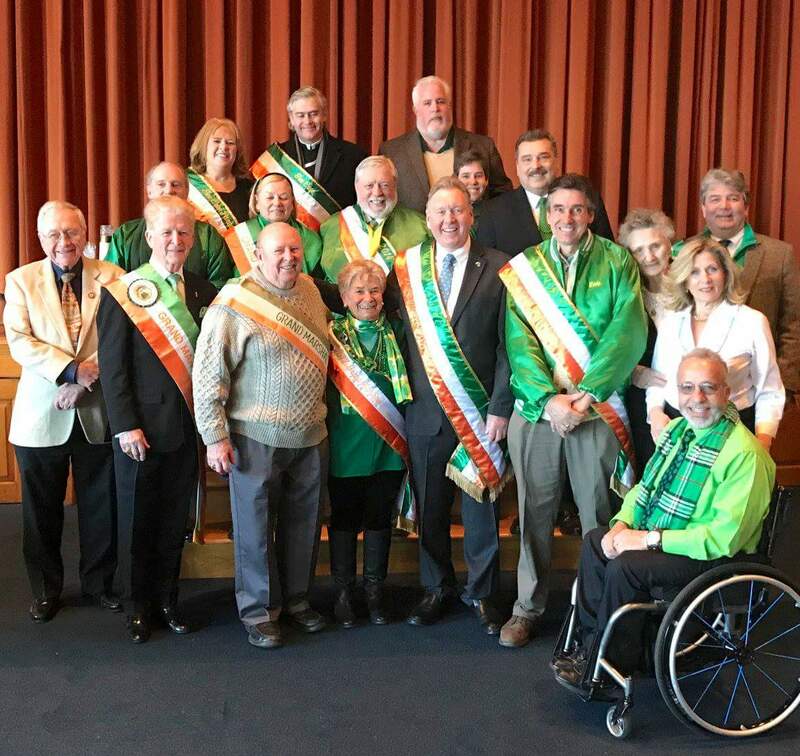 In 1989, Bill along with other AOH Members formed a small committee to start a St Patrick’s Day Parade in Glen Cove. This parade is now celebrating its 30th Anniversary and serves as the only Hibernian Sponsored Parade in Nassau County, growing over the years to become premier celebration of Irish Heritage and Culture on the North Shore. In 1990, Bill and his family, realizing the American Dream bought their own home and moved to Bayville. After many years of working and living in on the North Shore, Bill was always willing to lend a hand at AOH events such as the Project Children Paddleboat Steamer Cruise and the Coney Island Irish Festival. He was always willing to open his home up on holidays or taking a phone call from a young Irish emigrant looking for work at Piping Rock Club. Bill served as AOH Division 8 President from 1990 -1992. 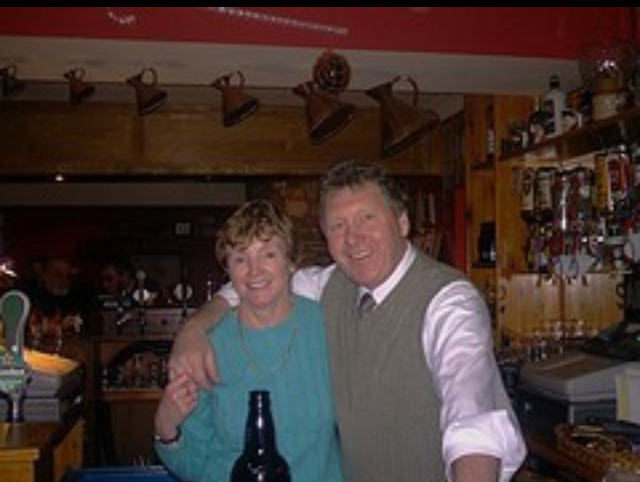 In February 2005, Bill and Teresa made the decision to return “home” to run the world famous Saratoga Bar on the scenic strand of Woodstown Co. Waterford made famous from its visit by the Kennedy Family in the 1960’s. Bill the Publican worked hard at building up the bar’s local customer base and tourist trade, and was a natural behind the bar. He enjoyed his 11 years managing the bar alongside his sidekick Teresa. He treated everyone entering his premises with warm courtesy and respect. In 2016, after the passing of some family members, an ever-growing grandchildren count and a major flood that nearly destroyed the pub (but that they rebuilt better than ever), Bill and Teresa made the choice to return once more to the Gold Coast to semi-retire and enjoy the fruits of their labor. Life has now come full circle, Bill works part-time with his nephews at Winter Bros Waste Systems, one of the largest private sanitation companies on Long Island. 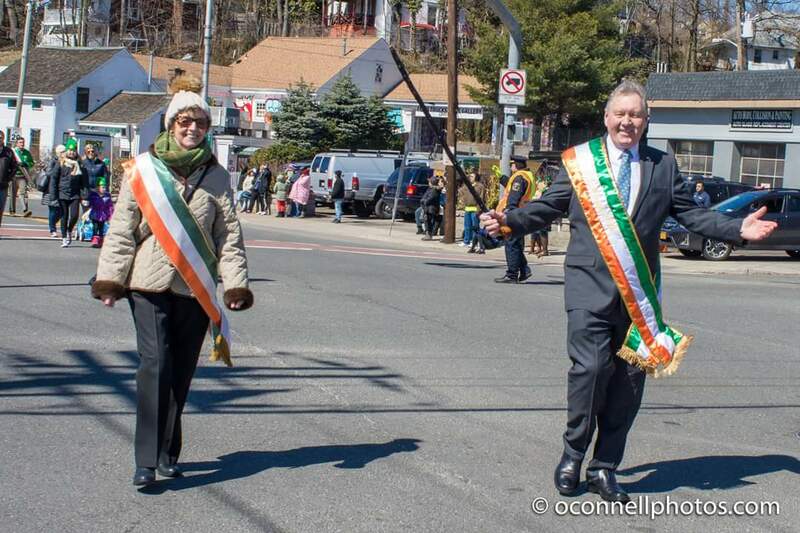 This year Bill is truly honored to be chosen for Grand Marshal of the 2018 Glen Cove St Patrick’s Day Parade. It is a celebration of what an immigrant with hard work ethic and love for both Ireland and America can accomplish over a life well lived. It is a great tribute and so fitting that such a milestone anniversary of 30 years recognizes one of its founding members on the same day as Bill and Teresa's 46th Wedding Anniversary. His 3 children and 7 grandchildren will be marching with pride. The march takes place on Sunday the 18th from 1-3pm and the post parade party takes place from 2-6pm. Their family, relations and friends here in Cheekpoint, Ballygunner, Passage East and Woodstown and throughout Waterford will be also marching at least in spirit, wishing Bill and Teresa many future St Patrick Day festivities together. 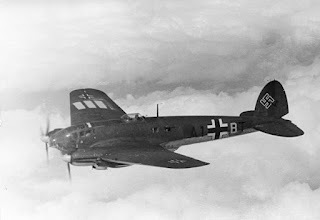 Many thanks to my cousin Ryan for helping me to put this together and sourcing the photos.